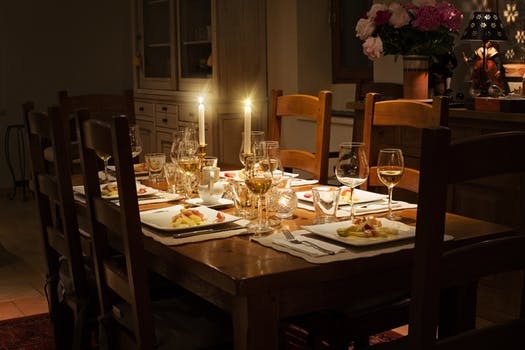 Let’s move away from the table, take these dining do’s and don’ts and practice them in any number of situations that we’ll be faced with in the coming weeks. If I had to sum up behavior that tends to go flying out the window when families (whether they’re the classic paradigm or not) get together, the one word I would consider is BOUNDARIES. This is also the one practice that needs to be at the table — both literally and metaphorically. Somehow, we tend to default to our dynamics and patterns that we’ve so fiercely worked at unwinding. You know the scenes: parents who want to (re)assert their roles with their grown children; grown children who chafe at the notion while also devolving into sullen adolescents; children of the grown children who aren’t “following the rules” of the grandparents—and these are just the surface issues in the immediate family. I’m not even touching on the tipsy aunt, the loud cousin, the bitter uncle, or the unctuous friend who all seem to appear for the holiday dining experience. Oh joy …..
So—instead of getting your knickers in a twist, how about using the experience as a teaching and advanced practice to deepen your own healing? Go back to the one word I chose that describes the overall dynamic of the situation: BOUNDARIES. This involves really having your wits about you, not taking the bait(s), acting your age, and staying in the present. No small feats, I grant you. And yet …. If the food isn’t prepared the way you would do it—you’re right—because you didn’t prepare the food! If you know that you’re going to a house with huge sports fans, don’t pout because you can’t watch “A Wonderful Life” instead. If the conversation veers towards religion and politics, use my rule of thumb: don’t talk about either of them. Those conversations tend to plummet into arguments in no time. Take that mindful breath — or two — or three. Let the moment be — it’s just for now, not forever. Choose not to plead your case or justify your viewpoint. Dare to exhibit good “table manners” away from the table. And here’s another option. Create your own holiday gatherings or rituals. Let them be what speaks to You—regardless of what they’re “supposed” to be.